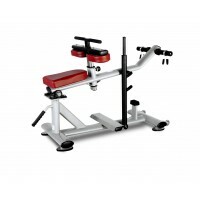 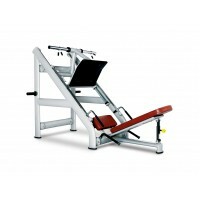 The 45-Degree Incline Press back pad adjusts to 3 different positions. 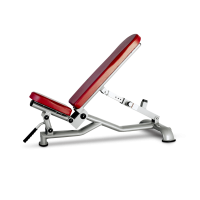 Easy-to-use, flip-in, flip-out carriage release mechanism and Standard Weight Horns 4. 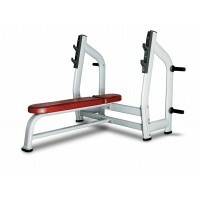 Frame Description Standard rubber feet protect base of the frame and prevent the machine from slipping. 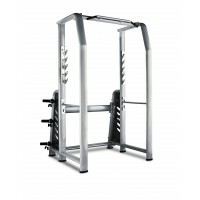 It has a 11-gauge steel frame ensuring maximum structural integrity.